What is Connect Hosted by ALEKS? What happens when you combine author-developed content with market-leading learning technology? 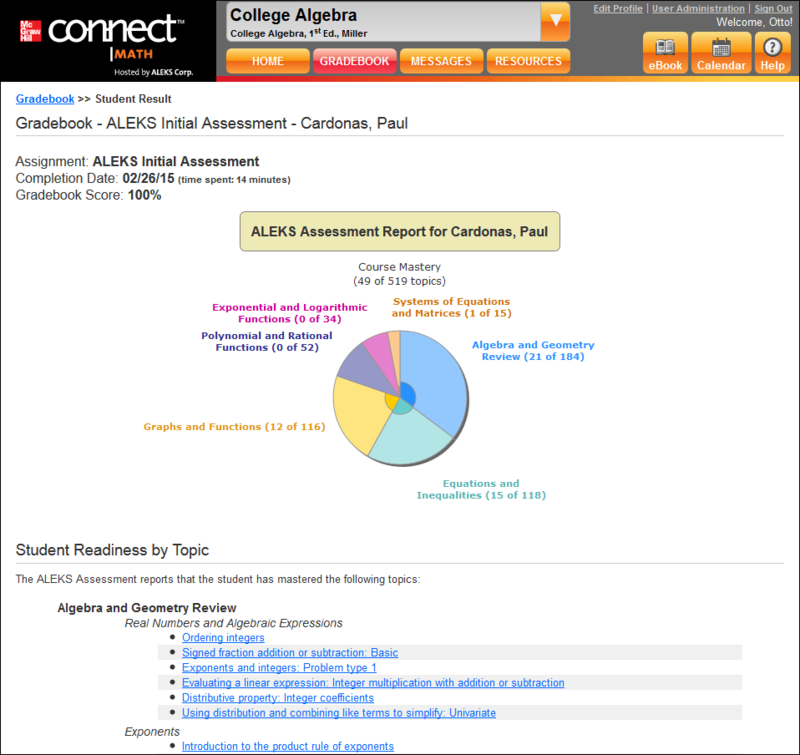 Connect Hosted by ALEKS is the first platform to combine an artificially-intelligent, diagnostic assessment with an intuitive online homework system. 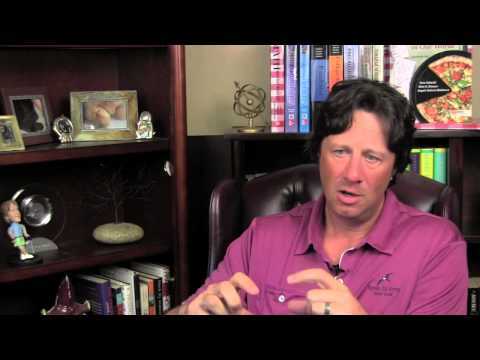 The result is peace of mind to trust that Connect Hosted by ALEKS will take your students to a new level of success. Built by educators for educators, Connect Hosted by ALEKS uses a one-of-a-kind market development process involving academic faculty at every step. This enables us to provide you with a solution that best meets your needs. Additionally, Connect Hosted by ALEKS offers 99% uptime and highly-rated customer support for both students and instructors. You want algorithmic content that was developed by faculty to ensure sound pedagogy and accuracy. 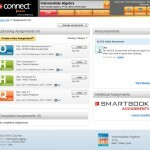 The development of Connect Hosted by ALEKS content involved collaboration between McGraw-Hill, experienced instructors, and ALEKS, a company known for its high-quality digital content. The result is content strategically developed to ensure that students foster critical thinking and conceptual learning skills. 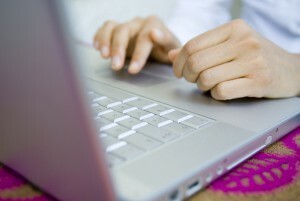 McGraw-Hill Education selected experienced instructors to work as digital contributors. Each algorithm was reviewed by the contributor and went through a detailed quality control process by ALEKS Corporation. A modern student homepage shows key information in an easy-to-navigate format so students can really focus their attention on learning. 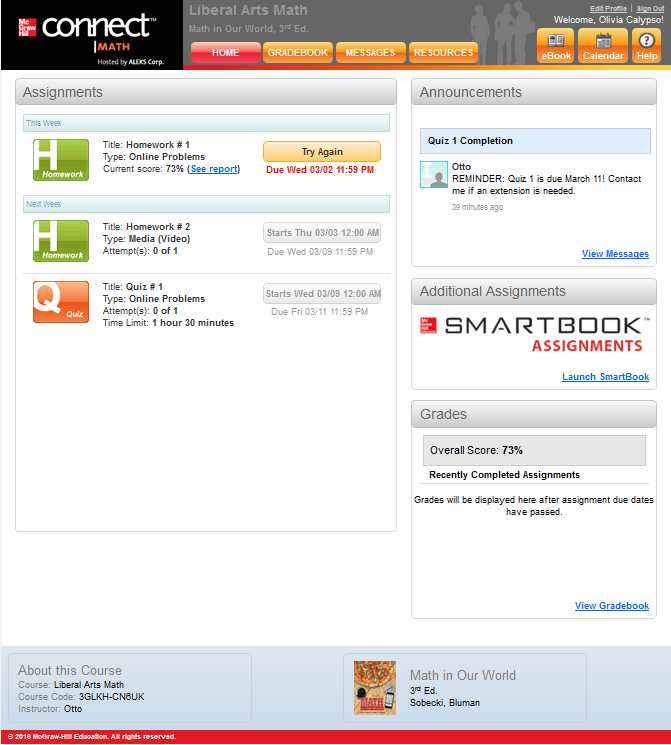 Students can quickly view their assignments, grades, learning resources, and announcements. 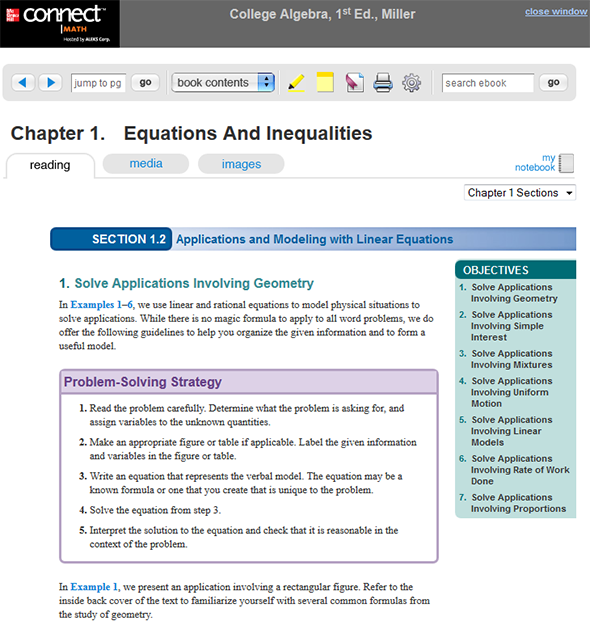 There are numerous learning resources to help students progress through the course, including an interactive, media-rich eBook. Students can also order a loose-leaf copy of the text at a highly discounted price. 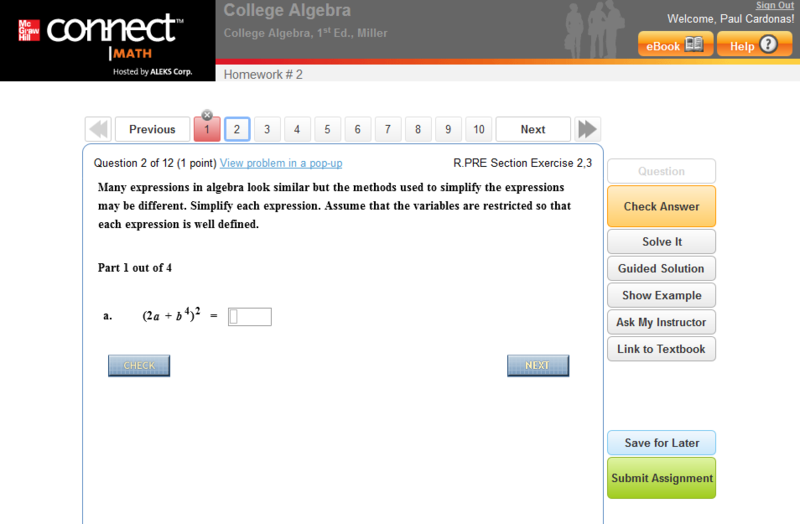 The intuitive assignments page makes it easy to work through homework. 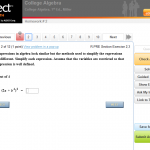 Students have access to immediate feedback and step-by-step solutions. Everything you need for your Connect Hosted by ALEKS class is accessible from a simple homepage designed with your busy schedule in mind. 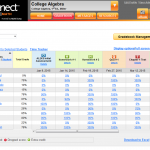 Quickly jump from assignments, to grades, to resources, and more. 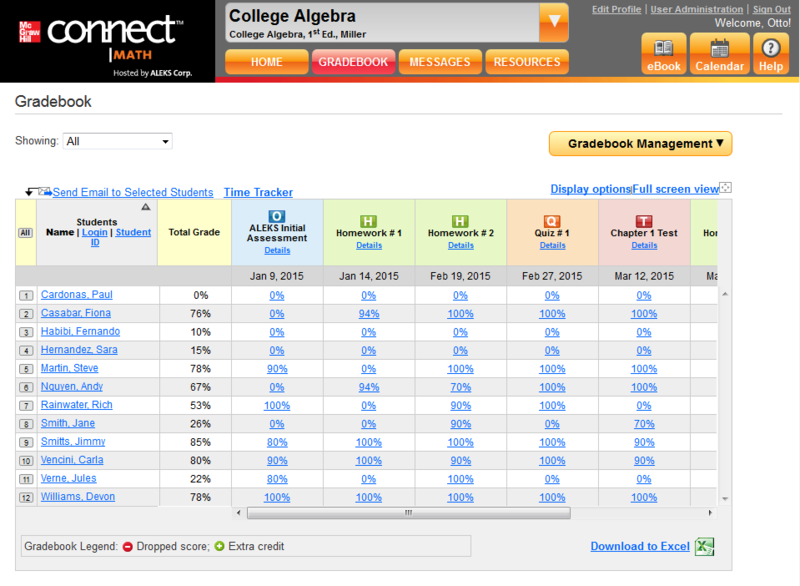 Not only is managing classes easy, but so is tracking student progress and time on task. 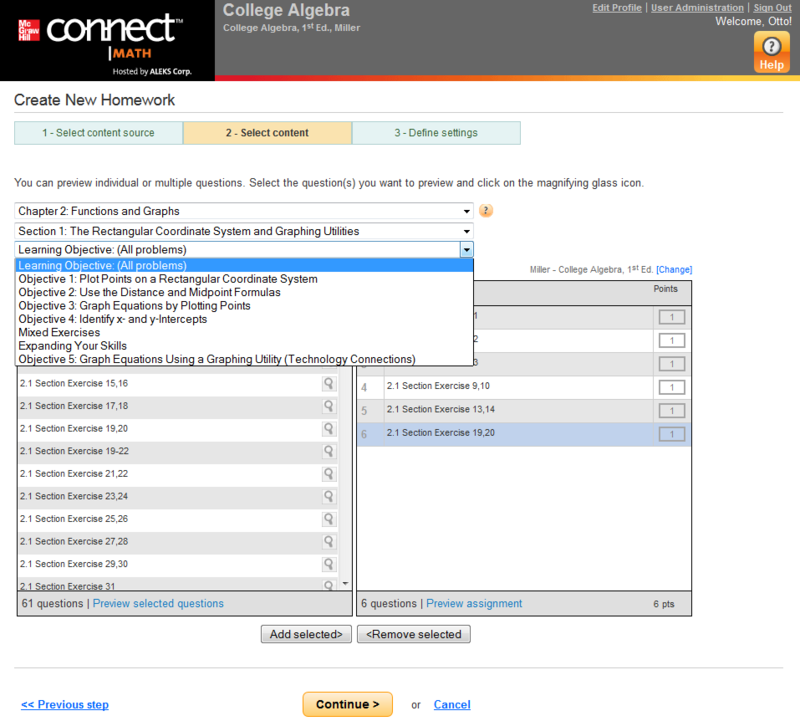 Quickly create an assignment from scratch by selecting textbook-specific questions, or simply duplicate from Connect or your own set of assignments. Need to customize? No problem. Instructors can edit due dates, accessible learning resources, retakes, grades, and more. Built based on instructor feedback, the gradebook is both intuitive and visually-pleasing. Assignment types are color-coded for easy navigation and you have the flexibility to import/export grades at your convenience. Do your students speak math? 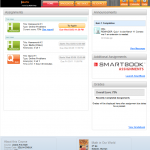 With SmartBook they can. 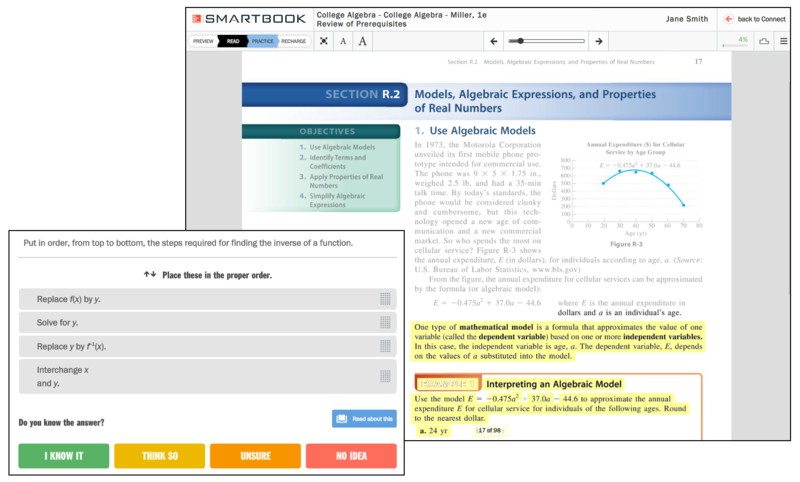 Now available with Connect Math Hosted by ALEKS, SmartBook is the first and only adaptive reading and learning experience designed to change the way students learn. Every minute spent studying with SmartBook is a high-impact minute. 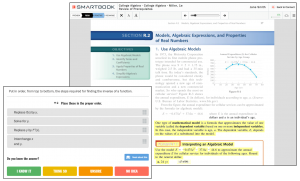 SmartBook breaks down the learning experience into four stages: Preview, Read, Practice, and Recharge. Each stage provides personalized guidance and just-in-time remediation to ensure students stay focused and learn as efficiently as possible. 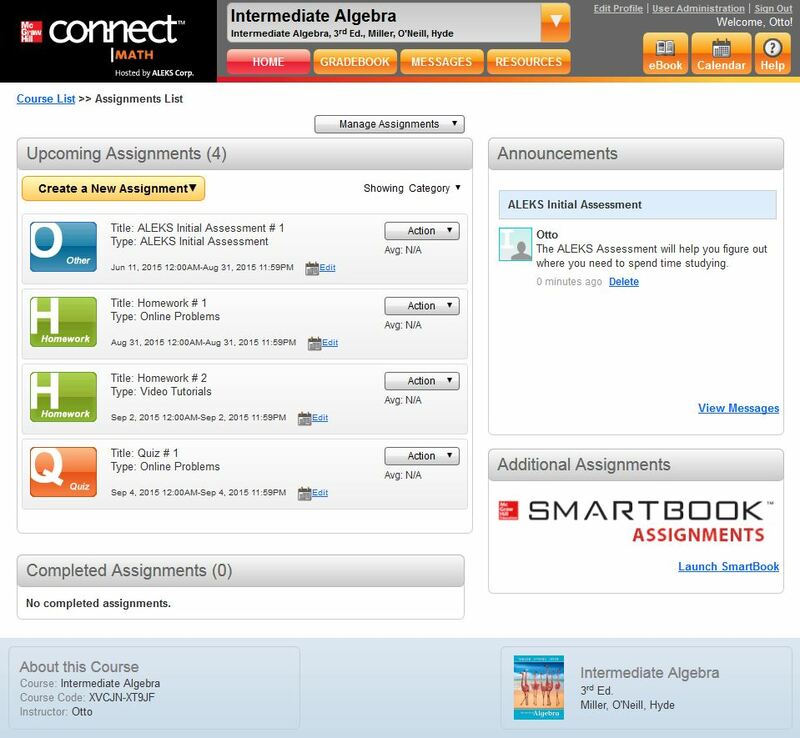 With LearnSmart technology, questions are designed to foster critical thinking and conceptual learning. Reports are also available to both students and instructors that track progress and show each student’s strengths and weaknesses. What does this mean for you? Teach a more informed classroom and provide more personalized guidance. 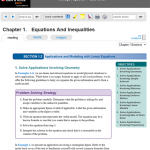 Students can also order a loose-leaf copy of their textbook at a highly discounted price. Imagine what knowing each student’s unique knowledge gaps on Day 1 can do for your students and their success. This artificially-intelligent (AI), diagnostic assessment identifies precisely what a student knows and doesn’t know in your course. It will also define what they are ready to learn next, giving them a clear path to an A. Detailed assessment reports provide instructors with specific information about each student’s strengths and weaknesses. Having this knowledge of each student’s strengths and weaknesses can drive meaningful instruction and truly help struggling students before they get in too deep. Are your students prepared for your course? Are you spending too much time on review and prerequisite material? If you answered “yes” to either of these questions, then consider how ALEKS Prep can make your life much easier. ALEKS Prep individually assesses students to determine their prerequisite knowledge gaps. It then delivers targeted remediation to fill those gaps in an efficient and effective manner. With single sign-on integration, students can easily switch between Connect Hosted by ALEKS and ALEKS Prep, making it a seamless and fulfilling learning experience. With ALEKS Prep, you’ll be able to focus lectures on core course concepts and see a reduction in office-hour demand and review from your students.